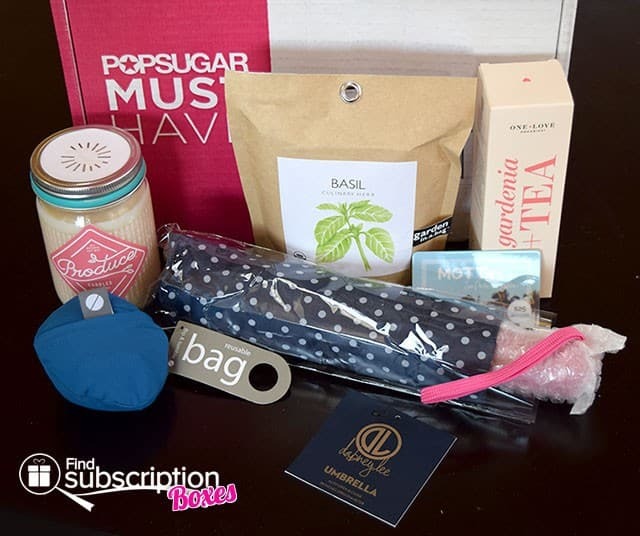 POPSUGAR includes a product flyer in each box that describes each of the items featured in that month’s subscription box. 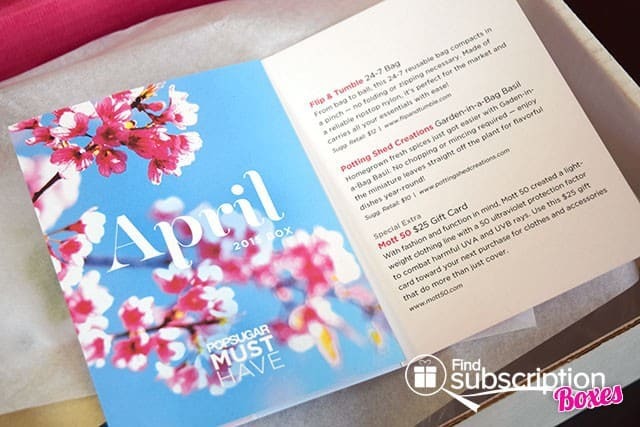 Here’s a first look inside our April POPSUGAR Must Have Box. 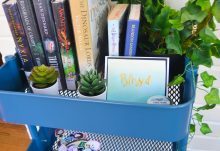 There were 5 items and 1 extra product in the April POPSUGAR Must Have Box. You’ll never be caught in the rain with this fun polka dot umbrella. We love the pop of the bright pink handle. Moisturize your skin with antioxidants and other amazing ingredients to nourish and soften your skin. This serum has a lovely subtle gardenia fragrance. Bring the scent of spring into your home with this sweet rhubarb natural soy wax candle. 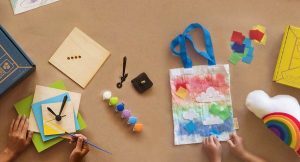 Eco-friendly and convenient, this reusable bag can be rolled into a small ball for easy storage in your purse. Grow your own fresh herbs and spices with this Garden-in-a-Bag. Use this $25 gift card towards your next purchase of UVA and UVB protective clothing that has function and fashion in mind. 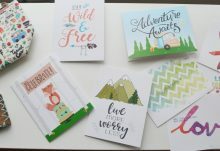 The POPSUGAR Must Have April 2015 Box is one of our favorite Must Have Boxes yet, filled with fresh products that are perfect for Spring. The antioxidant body serum comes in a convenient spray bottle and smells heavenly. The stylish umbrella and the garden-in-a-bag are perfect for Spring showers. The rhubarb candle has an incredible bright, sweet fragrance that captures the scents of Spring. 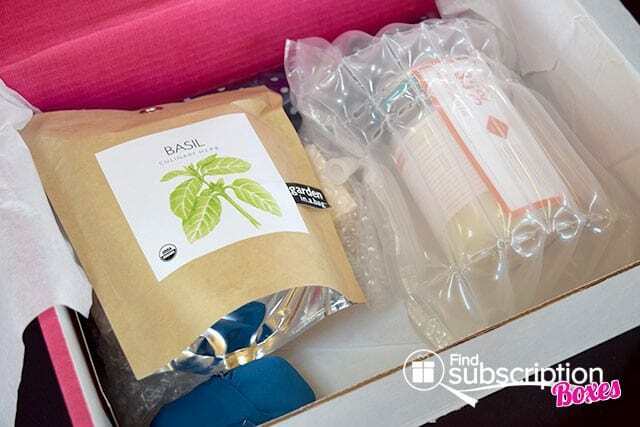 What was your favorite item from the April 2015 POPSUGAR Must Have Box?